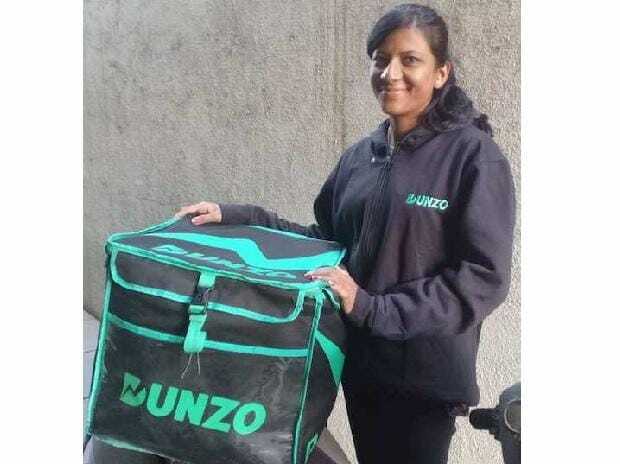 Alphabet’s Google, along with investors such as Alteria Capital, Blume Ventures, and Greyhound Capital (a new investor), are investing Rs 80 crore in delivery start-up Dunzo. The proceeds are expected to help the firm take on larger players such as Swiggy, Zomato and Grofers. In 2017, Google led a $12.3-million funding round in Dunzo, making it the tech giant’s first direct investment in any Indian start-up. The task-fulfilment firm, which leverages on artificial intelligence (AI) and human operators, has attracted several high networth individuals and business families. These include Patni Wealth Advisors (Patni Computers Family) and Samina Vaziralli, a third-generation scion at pharma major Cipla, according to regulatory documents sourced from business intelligence platform Paper.vc. Experts say the current funding could be part of a larger round that the company plans to close. MakeMyTrip founder Deep Kalra will hold the shares in Dunzo for, on behalf of, and for the benefit of Prudent Advisors. Parthasaradhi Reddy Bandi, chairman and managing director of Hetero Drugs, will hold shares for, on behalf of, and for the benefit of M Krishna Sindhuri Trust, according to the documents. Dunzo has raised a total of $19.7 million in funding over seven rounds, according to data platform Crunchbase. Other notable investors in Dunzo include Rajan Anandan, Monika Garware Modi (scion of Garware business family), and Cognizant veteran N Lakshmi Narayanan. Dunzo’s app connects users to the nearest delivery partner who can make purchases, pick up items from any store or restaurant and deliver those. This includes dropping off packages when customers are busy, get stuck in traffic, or even end up forgetting about it completely. The firm was founded by Kabeer Biswas, Ankur Aggarwal, Dalvir Suri, and Mukund Jha in 2015. It was formed to address the gap in the market to help people complete their list of tasks using a mix of AI and human operators. Biswas, an alumnus of the University of Mumbai, started Dunzo over a small WhatsApp group to fulfil random tasks like picking laundry — pick-up and drop — for a small fee. It was reported that the firm provides logistics and on-demand delivery services in Bengaluru, Delhi, Gurugram, Pune, Chennai and Hyderabad. It was completing an average of 30,000 transactions every day from across four cities. In 2015, most of its tasks required a human to monitor and run them. Now, over 80 per cent of the tasks are run without human intervention.